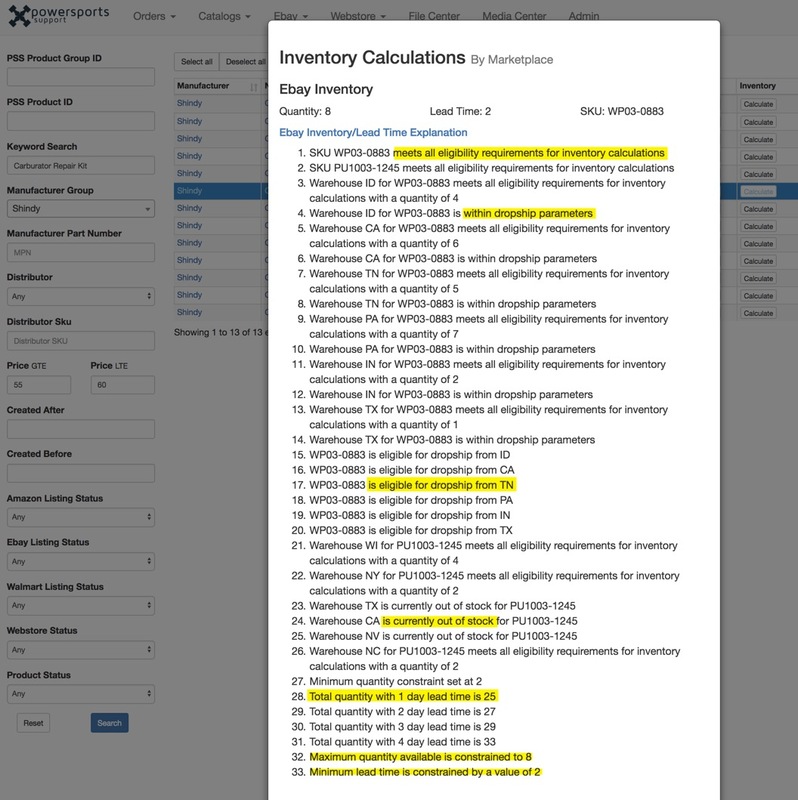 The Calculate Inventory button will provide you with a detailed breakdown of how and why PSS is showing a SKU in stock. This feature will not allow you to take any action, it is simply a detailed report of how PSS is manipulating inventory. For this example we will look at a Shindy Carburetor Repair Kit which is carried by both Western Powersports and Parts Unlimited. You will then be given the Inventory Calculation Table. This will show you what PSS pulled on its most recent inventory pull from each distributor warehouse along with what is eligible to be displayed in your store based on your rules and settings. 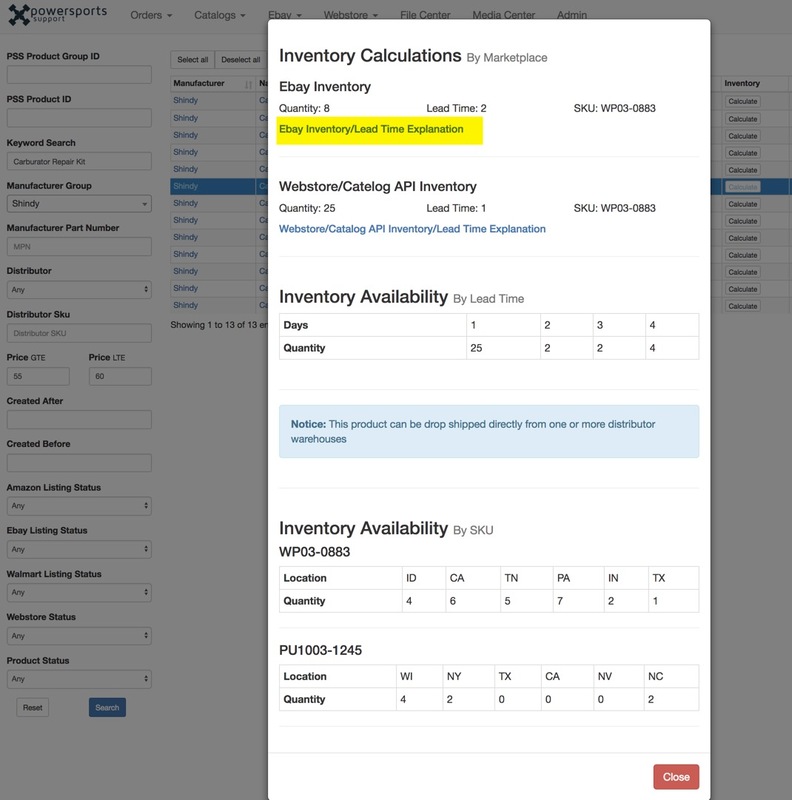 For a more granular breakdown you can click the Inventory/Lead Time Explanation link. As you can see below we now have a full explanation of why PSS is doing what it is doing to fulfill this product for you. We have highlighted a couple of key descriptors.